Casein proteins are derived from milk, and hence it’s also known as milk protein. 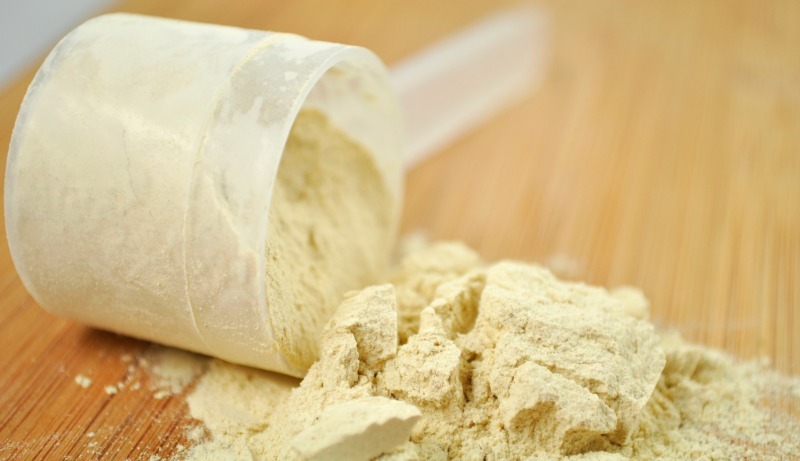 Casein is made up of essential and non-essential amino acids. It makes up 80% of the proteins in cow’s milk and 20%-45% of the proteins in human milk. As a food source, casein contains amino acids, carbohydrates, calcium, magnesium, and phosphorus. Casein is a “slow” protein. It is an anti-catabolic. Hence, it decreases the rate of excessive protein breakdown. Casein protein can be used throughout the day in addition to your whole food sources. Casein is anti-catabolic. Hence it helps to minimize the breakdown process, sparing the muscle mass. Around 20 grams of casein after a resistance workout increases muscle protein balance and muscle protein synthesis which are beneficial for muscle growth. Meaning, the body is synthesizing more muscle than it’s breaking down. Consuming casein protein results into greater mean fat loss and higher increases in strength for the chest, shoulders, and legs. Casein protein has a high amount of calcium which is beneficial for total fat loss. Casein helps you having a higher calcium intake as well as boosting your protein intake, and allowing you to maximize your fat loss benefits. Casein protein helps promote colon health. A study has revealed that Casein proteins promote colon health better than meat and soy. Casein is the best high-quality sources of protein available as it meets all the minimum protein requirements. Amino acids and magnesium in Casein stimulate insulin secretion in type 2 diabetes. It is a strong stimulus for insulin secretion, even in patients with long-standing type 2 diabetes. It supports the potential efficacy in the management of this condition. If you’re looking for a quick dose of Casein, you can mix it with milk or water. You can bake Casein into bars, muffins, cookies for a healthy treat before bed. You can prepare a healthy version of your favorite foods. Like other dairy sources, Casein improves dental health. It has the potential to strengthen tooth enamel against acid erosion. Casein protein contains vitamins, minerals, and antioxidants. Casein is rich in magnesium, which helps regulate blood sugar levels. It promotes cardiovascular health and function. It enhances rates of absorption in the body. The vitamins content boosts the immune system. Casein serves as a healthy supplement with several very useful purposes. Consume Casein before going to bed if you want to build muscle and gain weight. You can also consume it as a meal replacement/snack. Casein is digested slowly, so it will take longer to reach your muscles. In simple terms, casein protein is a beneficial supplement for every individual who wants to make the most out of their fitness routine. Casein is a reliable source of energy, and it also provides lots of other benefits. Consume casein protein as a meal replacement or before sleeping for best fitness results.